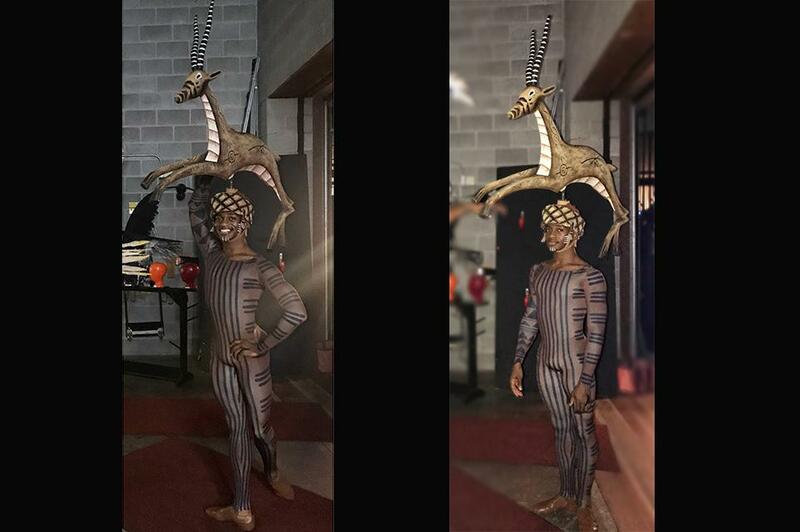 Kevin Tate appears as a gazelle in the Broadway National Tour of Disney's "The Lion King." Why did you choose UNCSA? I chose to attend UNCSA because of the reputation it had. I knew many alumni of the school who had/have amazing careers. Also at the time, Ethan Stiefel was the dean and I was obsessed with him because of the movie “Center Stage” that he starred in. A place of comfort was definitely the Pickle Jar! When the weather was nice, the Hill was also a dope campus spot. Regardless of discipline, the Hill was where everyone connected and intermingled. 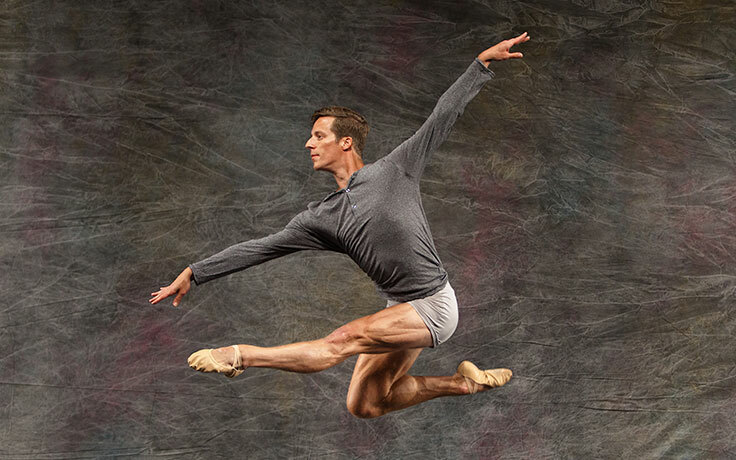 A major highlight of my career would have to be dancing for COMPLEXIONS Contemporary Ballet. It was a dream of mine because Desmond Richardson is my idol! It was such a blessing to work so closely under his stewardship and it was also my debut at the Joyce Theater, which is a theater in NYC that almost every dancer has on their résumé. Another highlight of my career would be touring the world for about a year straight with Bad Boys of Dance and Bad Boys of Ballet. I’ve toured 13 cities in Germany, Israel, Switzerland and Russia! Touring is awesome and I’m thankful that dance provided that opportunity for me. 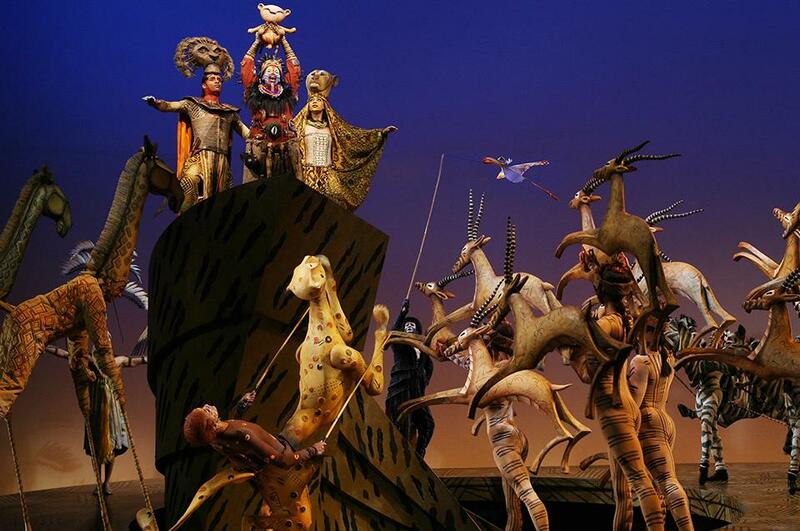 “The Lion King” is the world’s #1 musical. It truly has changed my life in so many ways. It is very well organized and structured. Everyone and everything has a place and a purpose. It’s incredible to perform for sold out audiences every night. I perform 8-12 times a week with one day off. Performing the same show every day is difficult, but it tests the depths of my artistry and challenges me to make it a new experience for myself as well as for the audience because it’s always someone’s first time seeing it. Disney takes great care of their employees and I’m honored to be a part of this tour! Do you have any connections you made at UNCSA that you still maintain today? UNCSA is where I met one of my best friends for a lifetime, Taquirah Thompson. Still my best friend to this day. Editor’s Note: Taquirah Thompson is a 2014 alumna from the Contemporary Dance program. The Chicago-based dancer’s recent projects include performing with the Durham-based multicultural dance company Gaspard & Dancers. Did you have an influential faculty or staff mentor at UNCSA? Brenda Daniels was a big influence on me during my time at UNCSA. She represented “perfection” and I always wanted to impress her! She held me to a certain standard and I never wanted to let her down. It’s almost equivalent to disappointing your Mom or something. She pushed me to achieve my greatest at everything. She believed in me and inspired me daily. My advice for current students would be to soak up ALL the information, pick the faculty’s brains and get the BEST out of each class regardless of the genre. UNCSA has a reputation in the dance world for creating professionals with amazing work ethics; I solely believe it’s because we are taught to explore and to figure it out! Composition class, partnering, pedagogy, Cunningham technique, Limon, learning body awareness & alignment all help you to adapt in any type of dance setting and approach to movement/information.